Vampires are still in (I think) but it’s not just Tweens that are obsessed with the blood suckers! The Vampire Facial is a treatment that uses your own blood as a rejuvenation treatment. Thanks to celebrities many people picture the treatment as a mess of blood and pain! 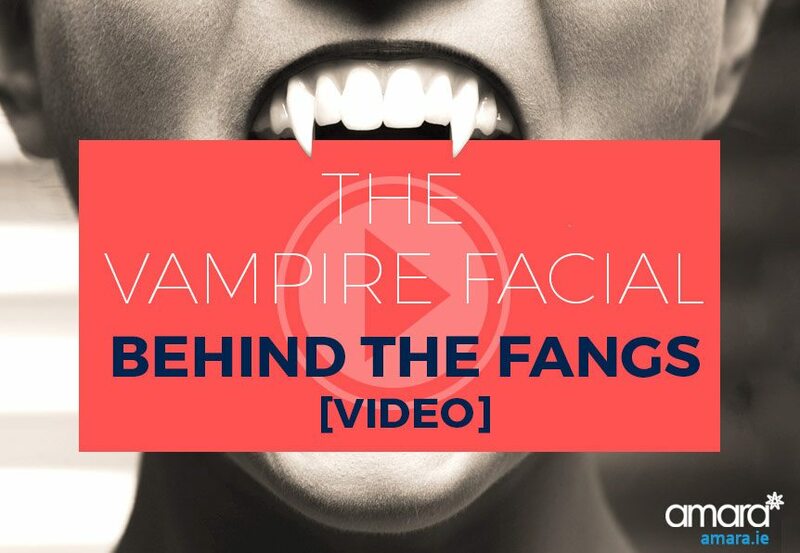 To ease your fears here is a video of the Vampire/PRP treatment being performed plus some commonly asked questions about the vampire facial. The Vampire Facial is actually called the PRP treatment which stands for Platelet Rich Plasma which comes from our blood. This plasma is taken from your blood which contains your natural rejuvenation properties and growth factors. These growth factors are what naturally heal your body when you have an injury. By putting these back onto your face as part of the vampire facial we can naturally rejuvenate your skin. For a step by step on PRP / Vampire facial you can check out vampire facial factfile here. PRP was actually developed in the 1970s and started being used in the 80’s – since then it has gained popularity and is used for many things such as cosmetic surgery, dentistry, sports medicine and pain management. As it has to do with blood many people have a fear of it and celebrities like Kim Kardashian have had attention grabbing videos of the vampire facial being done. However in most of these videos they are seen with bright faces covered in blood and that is just not how the vampire facial looks! After we take the blood it is mixed in a centrifuge which separates the blood from the plasma, the plasma which is a bright yellow is what is actually put on your face. Almost anyone can get PRP – men and women included! Many celebrities have become advocates for the PRP treatment; Kim Kardashian is famous for that (innacurate) video, and Rupert Everett is said to be a fan! And recently according to the Daily Mail Ferne McCann was pictured ‘with a bright red face’ after receiving the Vampire Treatment..
Are you interested in PRP now that you know it’s not as gory as you think? Book in for your consultation to find out if PRP could be for you! Hello, I have moles on my face, can these be removed with the facial?